This entry was posted on October 3, 2011 at 10:46 am and is filed under 2011 Giller Prize, Shadow Jury shortlist thoughts. You can follow any responses to this entry through the RSS 2.0 feed. You can skip to the end and leave a response. Pinging is currently not allowed. Hmm. Seems to me, based on what you write here, that you’d be a “natural” for liking poetry! I am still most intrigued by The Sisters Brothers, even though I am not sure why. You guys have indicated it is a fun read, and, I suppose, that appeals to me at the moment. You’ve got The Return pulling at my sleeve now too. And I still haven’t read Barnes. I am behind on 2011 fiction. Way behind. Kerry: Here’s my hypothesis (and only that) about how some of these choices got made at the Real Jury level. 1. We’ve got two “Westerns” — Vanderhaeghe and deWitt — so let’s make the choice at this level. deWitt becomes the choice, I suspect because all three real jurors are authors and he took on a bigger writing challenge. 2. We’ve got three short story collections, so let’s only advance the “best” — Blaise and Christie fall by the wayside and Gartner moves ahead. I’d say Trevor disagrees with that choice — I’ve only read the Blaise, so can’t comment (although I sure liked it). 3. 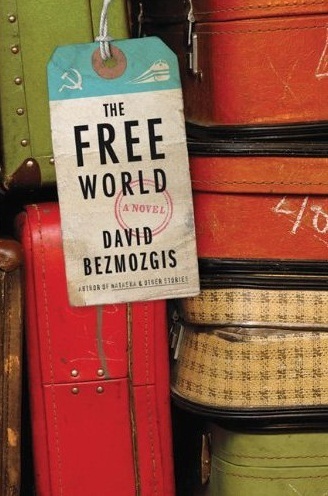 We’ve got four “immigrant experience” books (Laferriere, Blaise, Ondaatje, Bezmozgis) — they liked The Free World best. 4. We’ve got a slew of historical novels (Holdstock, Endicott, Dey, Zentner, Ondaatje, Vanderhaghe, Johnson, Edugyan) and have to advance at least one. They chose Ondaatje and Edugyan — I’d put both Zentner and Vanderhaeghe ahead on my chart. 5. And we’ve got three “edgy” novels built around character (Mayr, Gunn, Coady). I’ve only read the Coady and while my review was not super enthusiastic it is one of those novels whose best scenes are growing in memory while the less impressive ones are fading (usually a sign that the book was better than I first thought). Obviously, some books fit in more than one category, but I think this was the kind of sorting system that was in place and I cannot fault it. It is a prize judging version of running heats in Olympic track races. The longlist is so strong that some mechanism for getting down to six (which is one more than usual) was required. An advantage of this approach — and the resulting shortlist — is that it preserves the wide variety of styles, narrative approach and story that so impressed me with the longlist. Do keep an eye out for The Return when it is released in the United States — it is not just a very different book, it is a very impressive one. And The Sisters Brothers is a most enjoyable read. Really pleased to see Michael Ondaatje on the shortlist! DGR: For me, The Cat’s Table is a better novel than his last two. But it still would not have made my personal shortlist — probably more a reflection of my desire to give some lesser known names a shot at the Prize than a comment on the book itself. DeWitt and Edugyan seem to be being shortlisted for every prize going at the moment (I wonder if they’ll make an appearance on the GG shortlist too?) yet still I can’t muster up any interest in reading either. The DeWitt I’ve started and abandoned twice. The rest of the shortlist looks very enticing though. I have the Bezmozgis and the Ondaatje to look forward to and am currently reading the Coady. I have a few of the longlist that I want to read too – Vanderhaeghe, Johnston and Holdstock. I’ve read the first four stories of the Blaise and though they’re very well written, they didn’t really grab me – I will come back to them though. David: While I wish the jury had taken a few more chances with the shortlist, I do think it is a good one. John Barber of the Globe has a very good take on it here with the emphasis on newish, younger writers — Ondaatje’s presence is a fragile link with the past. Giller shortlists in recent years have pointed to a changing of the guard in the A list of Canadian authors — this year’s list would seem to indicate that it is virtually complete. And the new “guard” has a lot more people in it. 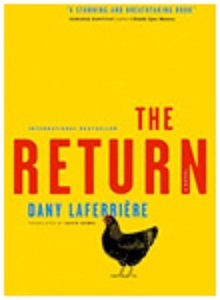 Please keep coming back with your thoughts as you get to the Giller books. While I know some who are lukewarm on the deWitt, I think you are the only one I know who couldn’t finish it. The shortlist for the Governor-General’s literary awards was announced Oct. 10 and tends to confirm the Shadow Jury’s opinion when we listed our “shortlist worthies”. Edugyan and deWitt complete their Canadian shortlist trifecta by being included — they are joined by Bezmozgis (an Alison pick that is also a KfC favorite), Zentner (a Kimbofo pick which I endorse) and Marina Endicott (my review will be up tomorrow). Trevor’s two picks (Blaise and Christie) have already been shortlisted for the Writers’ Trust Award, joining Edugyan, deWitt and Dan Vyleta for The Quiet Twin (the only shortlisted book that has not been reviewed here). Taken together, I would say the three shortlists indicate that 2011 is an exceptional year for Canadian fiction (the Globe story notes that Ondaatje’s publisher did not submit The Cat’s Table — I am guessing that Alice Munro’s generous gesture of leaving awards open for non-established writers is being repeated here). And for those who are following the Giller on this blog, I would again say that it is worth looking beyond the shortlist to the longlist — there is some excellent reading that did not make the Giller shortlist. I’m looking forward to your review of the Endicott, Kevin. It seems to have had a mixed reception in the Canadian press – of the reviews I’ve read a couple praised it highly, one was lukewarm, and the Winnipeg Review absolutely slated it. But, as it has made the Giller longlist and now the GG shortlist it clearly has something to recommend it. I ordered a copy yesterday (along with Martha Schabas’s ‘Various Positions’, Gayla Reid’s ‘Come From Afar’ and DW Wilson’s ‘Once You Break a Knuckle’). I completely agree with your assertion that it has been an exceptional year for Canadian fiction – just among the Canadian novels I’ve read this year that *haven’t* made the big prize lists, I’ve found some of my favourite books of 2011 (‘Alone in the Classroom’, ‘Natural Order’, ‘Glass Boys’) and have a pile of novels that I’m eager to get to (Boyagoda, Itani, Vanderhaeghe, Holdstock, Johnston, Price, Toews, Bezmozgis, Greenslade, Ondaatje, Pepper-Smith, Bolen). I think I could quite happily read only Canadian fiction for the rest of the year! A couple of days ago we were talking about A Fine Balance being Kevin’s favourite book. I mentioned while it’s not my favourite, it’s certainly high on my list. Kevin asked what my favourite was and I haven’t been able to locate the thread of the discussion so I’ll answer here. I feel like I wanted to name a work of great importance. In the end I am very siusceptible to emotions evoked through reading and still hold the greatest affection for John Irving’s trio of The World According to Garp, A Prayer For Owen Meany and Cider House Rules. I can’t really choose between the three. A Prayer For Owen Meany still has my favourite opening sentence. Sorry to hijacjk the hthread but I wanted to answer Kevin’s question. Rick: I remember the question but don’t remember the thread either. Mrs. KfC is going to love your answer — she just re-read Hotel New Hampshire and it reminded her how much she liked that era of John Irving so the three you mention are on her agenda. I like all four of those as well. Alas, Irving and I parted company after Cider House Rules — I didn’t even try his most recent one. John Irving just gets in to your head, doesnt he? I can’t get over “Sorrow floats”. I plan to re-read his major works this winter. I love him! I have just recently discovered KFC, and am enjoying reading the reviews and comments. I was delighted to read that Kevin’s favourite book is ”A Fine Balance, ” as it is mine as well. I’ve pointed out to prospective readers of the book that one will find the meaning of life in this novel and that this is picked up intuitively – there are no didactic sermons, just the relationships (or lack thereof) of the characters, and those relationships tell all. Welcome to the blog, Helene — and I am delighted that we share the same favorite book. Your comments are most welcome. So far, I’ve completed 4 of the 6 shortlisted works and am on the 5th. It’s a strong list. Thus far, I’ve read Half Blood Blues, Sisters Brothers, The Antagonist and The Free World. I’d be relatively happy if any of them won. The Antagonist is the one that struck my emotions the most and that is my sentimental pick. I’m not thrilled with Plastic Explosives so far but it’s early. The list is stronger than the Booker list though I don’t think any of them rises to the level of The Sense of an Ending. I am impressed with the Giller judges. Rick: Without giving away too much of the Shadow Jury’s deliberations which are now under way (stay tuned for Friday), I think I can say the four of us agree with your assessment. The Giller shortlist does not have an obvious standout (as The Sense of an Ending was in the Booker) but it has a very strong list overall — as Trevor noted when he submitted his initial ranking to me yesterday, he gave his top four picks four stars out of five when he reviewed them. I am in much the same boat. And I would note that the longlist contains some equally good titles that did not make the shortlist — Blaise, Vanderhaeghe and Laferriere would all have been worthy in my opinion. So I would say not only an impressive performance by the Giller jury, but a very impressive year for Canadian fiction. I know the Giller winner always attracts attention — this year, the entire longlist is worthy of consideration for interested readers.